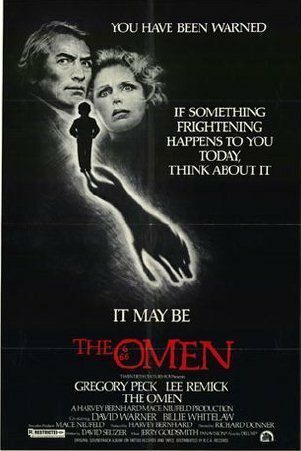 Movie Poster for 'The Omen'. . Wallpaper and background images in the Gregory Peck club tagged: the omen gregory peck lee remick horror movie. This Gregory Peck photo might contain 애니메이션, 만화, and 만화책.